This page is meant to help you troubleshoot computer issues that may affect your experience with our site. We always recommend first that users be sure they are using the most recent verion of their internet browser as well as Adobe Flash and Java. If you are not sure if those three items are update to date, go to the site WhatIsMyBrowser.com. This site will report back the status of your internet browser as well as Adobe Flash and Java. If any of the items listed are out of date, please refer to the list below to update said software. Should you continue to encounter issues after taking the steps above, please click on an issue below to find your solution. 1. I can't find my login credentials. 2. I would like to reset my password. 3. When I log in, I don't have access to my course. 4. I can't get my practice questions to load properly. 5. I can't access my certificate, or my certificate is displaying the wrong name. 6. I can't see my on-demand videos. 7. I am having issues accessing the Live Webinars through GoToTraining. An email is sent to the attendee email listed at the time of registration which contains their username and login. If you did not get the email, please check your Spam folder. 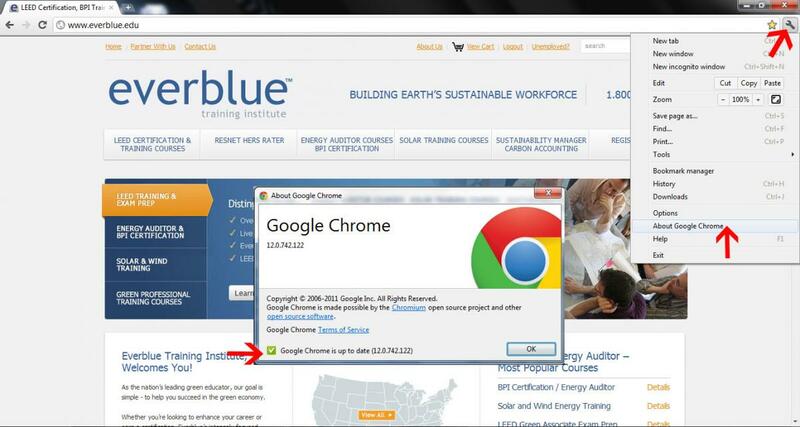 Should you have additional questions, please contact support@everbluetraining.com or call us at 877-755-7182. If, for some reason, you have either forgotten or wish to change your password, please click on the Request New Password link and follow the steps. Should you have additional questions, please contact support@everbluetraining.com or call us at 877-755-7182. Access to a course is for 180 days from the day of registration. Please confirm that you are using the correct username and password that was emailed at the time of registration. If you still cannot access your course, please contact us by email at support@everbluetraining.com, or call us at 877-755-7182, and we will add you to the attendance roster for the appropriate class. There could be a number of reasons that are causing you to have trouble loading or viewing practice questions. Please ensure you are operating with an updated version of your web browser. This means if you haven't updated Mozilla Firefox in the past two months, you may need to download the latest version. We apologize, but older versions of browsers such as Internet Explorer, Firefox and Google Chrome each work differently with today's software. 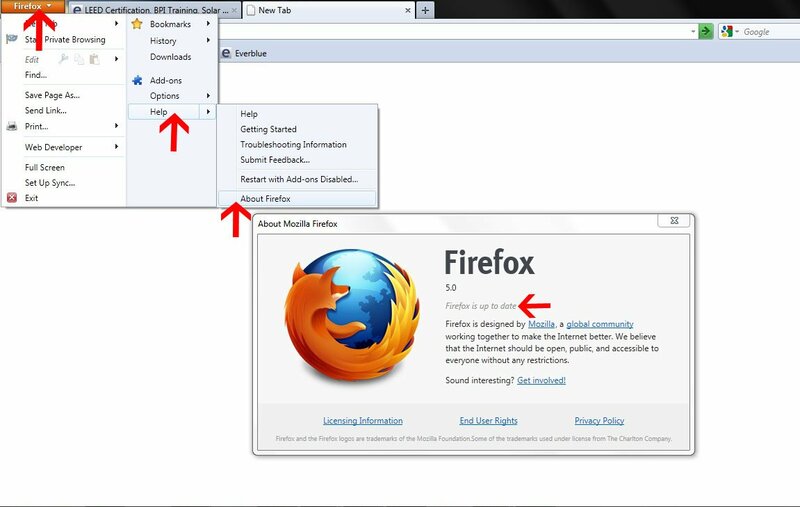 Click the appropriate link to see what version of Firefox, Google Chrome or Safari you are using. **Some practice questions are not fully supported on Internet Explorer or Chrome. Should you be having trouble using IE or Chrome to access practice questions, please try using one of the other browsers listed above. Please ensure you have Java or Flash Player installed on your computer and that you have the latest versions. Click here to see if you have the latest version of Java, and click here to see if you have the latest version of the Flash Player. If you are attempting to access the practice questions from a work computer or company network, please ensure your company's firewall isn't blocking access to the Everblue site. 5. I can't access my certificate of completion, OR my certificate is displaying the wrong name. If you have not accessed your certificate and would like to ensure it displays the correct name, please log in and click here to update your student information. If you have already accessed your certificate through the automated certificate system, please contact us at support@everbluetraining.com, and a new certificate will be created for you. There could be a number of reasons that are causing you to have trouble loading or viewing the on-demand videos. If you are attempting to access the videos from a work computer or company network, please ensure your company's firewall isn't blocking access to the Everblue site. Please review the GoToTraining System Requirements to confirm your computer and network is able to view this course. If you are still unable to find an answer to your specific issue, please call us at 877-755-7182 or email at support@everbluetraining.com.